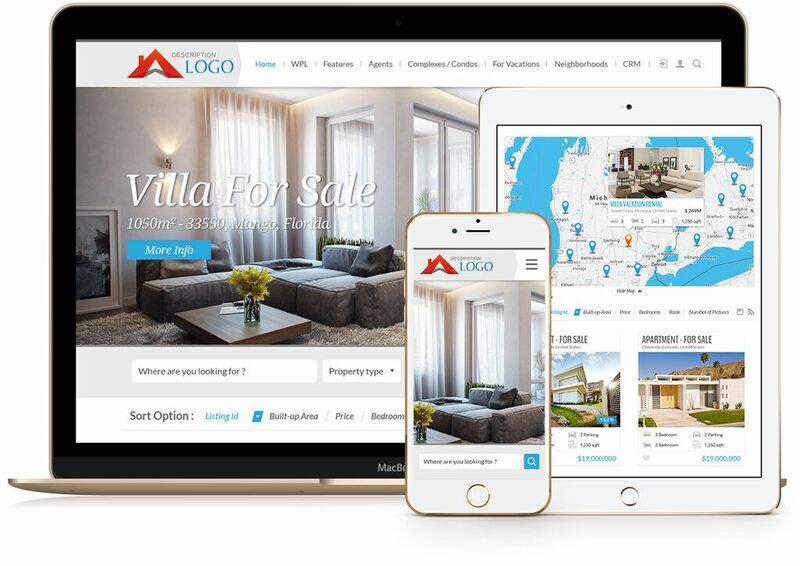 If you are looking for a flexible, scalable and affordable web / mobile solution for your Real Estate business, you are in the right place. Dynamic real estate web design and WordPress IDX—it's a powerful combo. Here you’ll find the best realtor websites we’ve created in our 10+ years of experience. What is IDX? What is a RETS feed? How do I get an MLS data feed on my site? Can I use IDX on WordPress? Have all your questions answered in our video blog. If you sell IDX solutions, build real estate websites, work with WordPress IDX plugins, or do real estate website design, consider our affiliate program. Publish an iPhone/Android Real Estate App for Your own Brand! 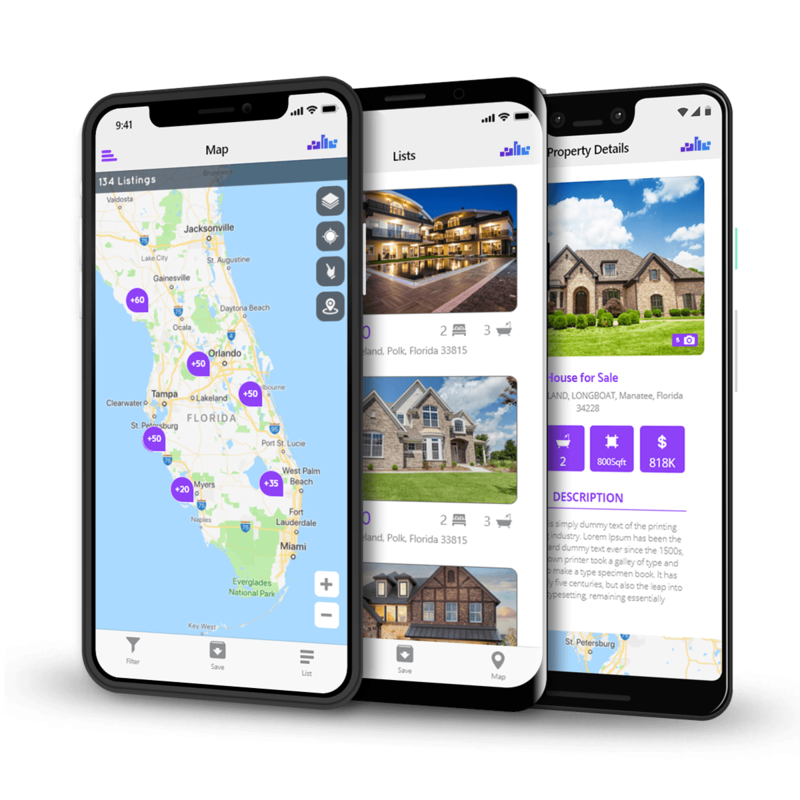 Realtyna® has developed a very advanced and fast Mobile App, that can be rebranded and paired with our client’s website to show their listings on both Android and iOS. Looking to test our products before you buy? We’ve built two demo sites (one for our base package, one with our suite of add-ons). These sites are populated with sample data for you to learn the functionalities of our platform. If you’d like to try our products with full admin access, contact us for a development area built just for you. This product does exactly what it says. The free version works 100% as described, and would be well suited for a realtor/broker who wants to create their own listings on their site. My client's site ...has doubled in traffic every month since it has been launched because of the SEO implications. The organic acquisition is now at 55% in just 90 days! If you are a realtor/broker belonging to an association, who wants to ditch the IDX or iframe for organic search optimized MLS, my recommendation is to go with the WPL Pro, with full MLS integration, and, the APS search add-on, depending on your business objectives and budget, respectively. (I plan to add neighborhoods add-on next.) Also, use the Realtyna developers! They built the code, know the code, understand the dynamics of the software, and work on the systems every day. I have been using Realtyna’s WPL plugin for over a year now to post real estate listings on my professional website. WPL is efficient and has made my website easy for potential buyers to navigate. I... would highly recommend WPL to others. Realtyna has been fantastic so far throughout our website installation. They were quick and informative while we were making our decision between providers and offered services that simply can't be b...eat! Highly recommended. The Realtyna team has been extremely helpful throughout the purchase and installation process, answering any questions that I have in a very timely manner and keeping me updated throughout the whole p...rocess. We had very good experience of working with Realtyna. They delivered our real estate site in time and with great quality. Especially we would like to mention their great customer service. We will defi...nitely will choose to work with them in the future. The overall process of development of periodical update is always difficult. We have handled this long Patch at best, as the job has been carried out with method. This time the development included ph...p and designs. I am particularly satisfied for both of them. Designs were perfect, thanks to the team Marvin, Nancy, Matthew and all the other people involved. Realtyna has been amazing at solving my issues with my site! They are always willing to help, are professional, and complete items in a timely manner. I can't thank them enough for helping me understa...nd my site and taking time to work with my hosting company. I have been with them for almost 4 years now and couldn't be happier! Perfect Real Estate component, powerful and flexible, with all possible functions, very easy to modify parameters according to personal needs! I don´t know very well to handle Joomla, but the suppor...t team is very quick and helps you with every problem, i ’am impressed, Masi helped me several times, in less then 1 month I have a new realestate website thanks to them! A pleasure to deal with them! Thank you and Congratulations! I felt compelled to enlighten anyone with an upper level interest in this company as to my recent experience dealing with the Realtyna group.I had the unique opportunity to work directly and extensive...ly with Realtyna's Developers and Project Co-ordinators directly due to my webmaster haven taken ill during the start of the project. My webmaster is well known in the Joomla community and he recommended that we hire Realtyna to develop our Organic MLS feed.